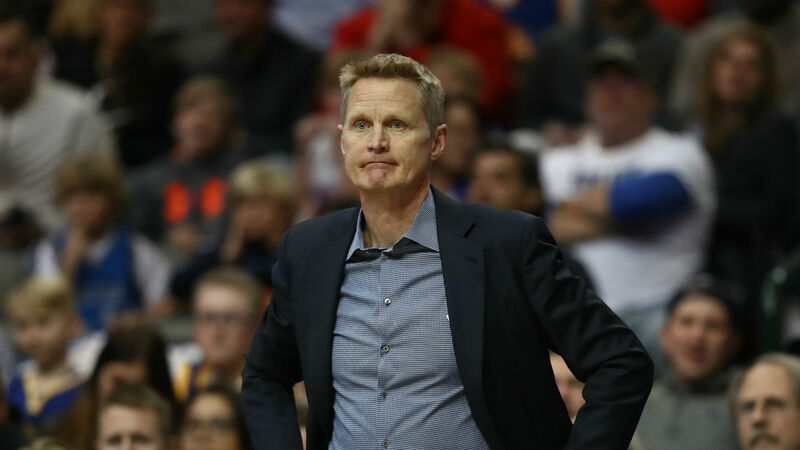 "Defensively, we were not connected," Kerr told reporters. "We weren't talking, and we got off to that slow start. And Dallas is always a hard team to guard — they execute well, and I think they made 12 3s in the first half, 21 for the game. A lot of miscommunication — but we just couldn't pull together after that slow start, and we never could get any traction in the game. So, we just got to flush this one down the toilet and move on to tomorrow. Not much else to do."